What motivates you to show up with your A-game? Working within health is both challenging and rewarding. It’s about doing work that matters, that can make a difference and contribute to our society. 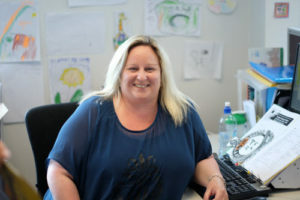 Child Health Coordinator Nikki Nute works with children and their families/whānau through the Pegasus Health Child Health Support Service. The aim of this service is to improve the health, social and behavioural needs of children up to 17 years old. This is done by supporting general practices with home visits to their patients. “It’s a privilege to work alongside a diverse range of families,” says Nikki. “Nikki reassured me and gave me confidence as a mother. The tools she taught me have already worked with my daughter.” – From a mother needing support with child’s behaviour and accessing other services. “Nikki engaged with the family and focused on strengths already in place and encouraged them to try different strategies and linked them with appropriate services. This service is invaluable for parents who have mental health issues.” – From a GP who referred a mother with an anxiety disorder who needed support with her daughter. Being a part of Pegasus and the wider Canterbury Health System means Nikki can draw on the knowledge and experience of many health and social service professionals to help the families/whānau she visits. “We all want to help our community be healthy and happy and it’s pretty awesome being a part of it,” she says.